Video is now the norm for learning. Did you know that Youtube is the biggest goto site now for learning? eCreators can create entire video based e-learning modules or video snippets for your online courses. Our staff and partners can provide you with polished, professionally produced video content to bring your courses to life. We have access to production facilities, so you can sit in the directors chair and place your learning on the silver screen! YouTube is the goto site for a vast amount of content on the internet. With our assistance we can produce full feature length videos, staff training videos, right through to full productions. Contact us today for some samples of previous projects! Need to get a message across? Using our in house animation tools and talented voiceover artists, we can bring your product promo or other video messages to life. We’ll work with you on a script, then develop a storyboard to create a fancy result! When you choose a narrator for your course you need to ensure that the person matches your content, your story and is able to connect with your audience. Voiceover in e-learning is a talented art and different to other mediums such as radio and TV. eCreators has a stable of talented voiceover artists at the ready! Choose from young, older, professional, tradie, and from many other races and languages. Request a demo reel today! When it comes to video, quality cameras, well dressed sets and good lighting are key. eCreators and its partners are experts in setting this up for you. We can assist with all levels of video footage from silent interviews through to drone footage – these can all be embedded in Learnbook, or in your elearning course. Measure twice, cut once! That’s the purpose of the storyboard. When you storyboard your e-learning course, you’re setting yourself up for success. Before we begin your oscar winning film, we’ll always cut a storyboard first so you can take into consideration the creative approach we have in mind – its a measure for a successful outcome. Video doesn’t have to follow the cut of an epic movie. 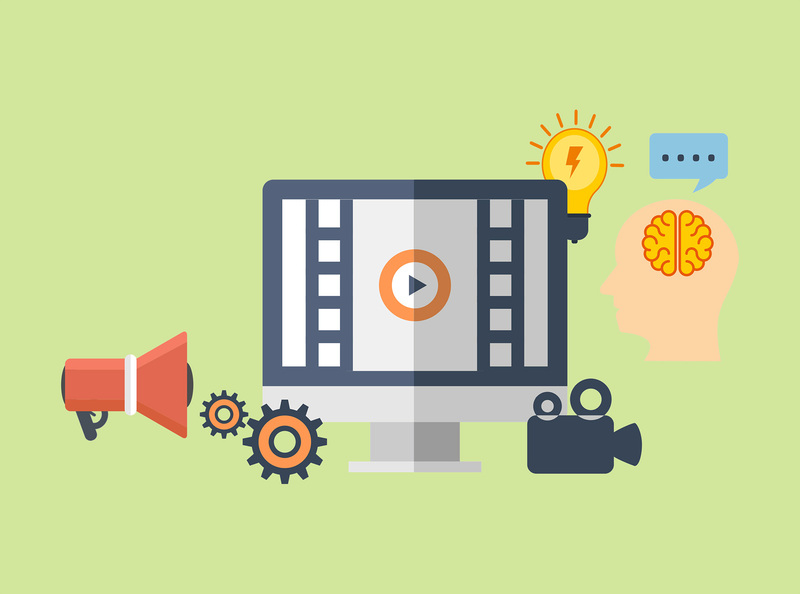 Video Bites, or little snippets of video can be a great part of your instructional strategy. From demonstrating how something works, to hearing from a subject matter expert, video is a great medium for education, and its not as expensive as you might think!